Local Property tax, commonly known as the tax on the family home, will be back on the Sligo agenda in September. Councillors will consider whether or not to increase the rate by 15%. They are also free to reduce the tax by a similar 15% figure. The tax was introduced by the Coalition in 2013 following an agreement the previous Fianna Fail-led government entered into with the Troika. There are no exemptions. The sick, the elderly, the unemployed are all liable to penalties for non-payment and having the charge deducted from pensions, wages or other household incomes or farm payments. A home valued at more than €200,000 currently tax rated at €405 annually, will rise to €465 in the event councillors decide to pile another 15% tax on the building. Fine Gael and Fianna Fail blocked previous moves by Sinn Fein and Independents to cut the rate. 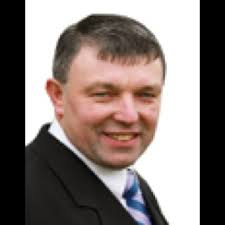 Homeowners or community groups/farm organisations can make observations on the tax in a submission to the Ciaran Hayes, Chief Executive, Sligo County Council, Riverside, Sligo, or write to or ‘phone local councillors to give their views on the issue. It’s reckoned property tax, water rates, refuse collection and carbon taxes on coal, gas, heating oil, petrol and diesel are costing Sligo dwellers €2,000 or more annually at present.